With a new API and fully operational ad business, marketers have excitedly been testing different types of advertising opportunities on Instagram. As of June 2015, Adweek reported that Instagram’s commitment to content quality and millennial audience have attracted more than 475 ad campaigns with brands such as The Gap, Michael Kors, and Taco Bell. As a channel perfect fit for highly visual brands in the food, beverage, retail, and travel spaces, how can other industries maximize advertising opportunities on Instagram? A great example comes from Capital One, which recently credited Instagram for increasing its ad recall by 16 percent. In partnership with its agency T3, Capital One decided to activate its popular, “What’s In Your Wallet?” campaign on Instagram. The “What’s In Your Wallet?” campaign was originally launched in 2000 (ten years before Instagram’s debut!) to generate consumer awareness for Capital One, and its success has been credited with helping the company to become a household name, with near universal awareness levels (99%) within three years of its launch. The approach and popularity of the “What’s In Your Wallet?” campaign provided a strong foundation for the Instagram ad campaign across creative strategy, influencer activation, and user-generated content. Instead of just creating their own ads, Capital One took a unique approach by partnering with three popular Instagram influencers: Zach Rose, Kimberly Genevieve, and Paul Octavious. 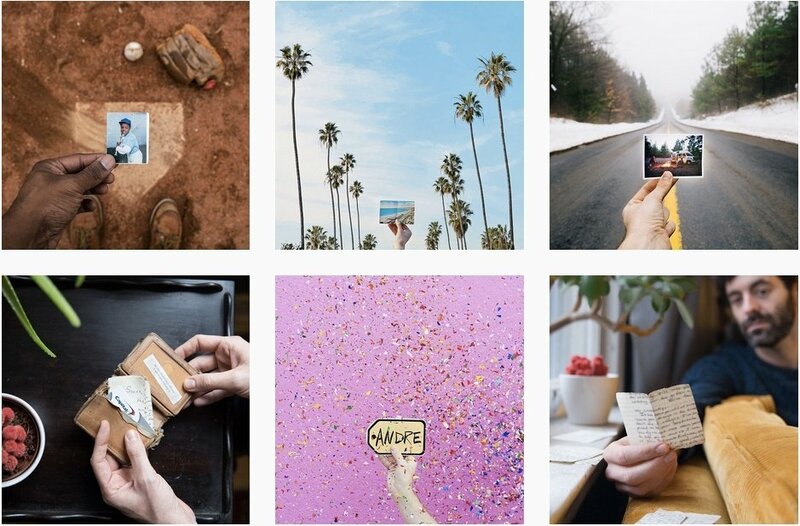 For five weeks, this trio created content for Capital One’s Instagram account (@CapitalOne), allowing the company and its fans to see #walletstories come to life through different perspectives and visuals. Of the content created, Capital One turned nine of the images into Instagram ads. Given that Instagram encourages companies to craft high-quality, engaging ads, partnering with users known for amazing images offered a strategic opportunity for Capital One to curate stunning visuals to give their campaign launch a boost. There’s an art to advertising on Instagram, and visual storytelling offers a powerful strategy to make advertising content more memorable. Look closer at each of the #walletstories shared, and it’s delightful to discover the mix of random and valued personal treasures—and the stories behind why people keep those items in their wallets. From old love letters to family photos (and a game show contestant nametag), it’s clear that the best stories are relatable, deeply personal, and come to life with the help of a stunning visual. The end result is very different from the “What’s In Your Wallet?” campaign—in a good way. In Adweek, Capital One reported that the images increased the company’s ad recall by 16 percent among both Gen X-ers and Baby Boomers. In a unique twist, ad recall increased by 25 percent for people ages 45 and older, something the company attributes into familiarity with the Capital One brand. For millennials, Capital One brand favorability increased by three percent. Following this campaign, Capital One incorporated this data with programs with Uber and a user-generated contest called #MyRewardDay. Users across multiple social media channels were asked to submit photos of themselves on vacation with #MyRewardDay and #Contest by August 16, 2015 for a chance to win $10,000 toward their next adventure. Could this style of campaign be expanded to include more user-generated content? Or could it be re-imagined through short form video, adding in the very personal elements of sound and a person’s voice? We’ll see what Capital One does next.